The life-disturbing fear of flying is quite common, and much of that fear arrives from an unknown source. The SOAR app on Android and iOS provides passengers information on airliners and flights from a highly experienced commercial pilot in order to help make your future flights far less stressful. It certainly is a challenge to not be afraid of flying these days with the way the media tends to covers crashes and accidents, however flying is still regarded as one of the safest ways of travel. That doesn’t mean that having a certain fear of flying is completely abnormal. 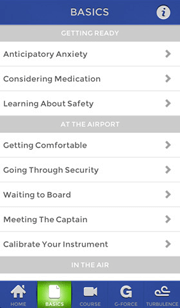 SOAR provides you the much-needed info that will help calm your worry throughout the entire process, covering the airport, take-off, the turbulence, landing, and all that is in between. Furthermore, there’s an integrated G-Force monitor, which can be utilized to monitor the aircraft’s G-Force when flying and actually observe it stay within the plane’s safe limits. 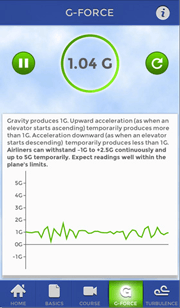 In addition, you may even receive an accurate turbulence forecast from the application before your actual flight. This special app is currently available for Android, iPhone, and iPad users. It was designed by the Captain Tom Bunn. This app provides essential access to weather details and information on how the various planes are kept and maintained safe. Considering its countless benefits and rare negative feedbacks, you should give this app a try yourself!